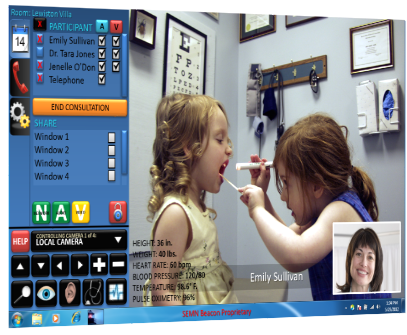 Shaping Remote Healthcare and Multimedia Access for Seniors and Those with Special Needs. A-Vu Media is an information technology services company focused on providing highly simplified access to broadband enabled telemedicine, multimedia and communication services. A-Vu Media was founded by its President and Chief Executive Officer, John Goodman, for the purpose of introducing community based telemedicine options on a platform that also expands multimedia and two-way communication choices for Seniors, Disabled Persons and those left behind by the complexity of electronic devices and "too many button" remotes. 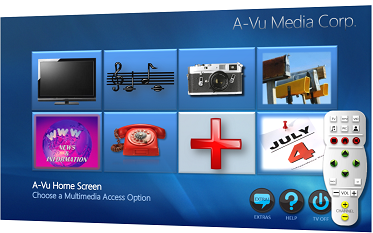 By enabling healthcare providers and combining access to telemedicine, entertainment and communication services through a simplified remote and a set-top box, A-Vu Media is challenging the complexity of multimedia access and leading the way for its customers to remain independent, yet fully connected to loved ones, care providers and the entertainment content they enjoy. Although our goal is ultimate simplicity for subscribers, live assistance is enabled at the touch of a button for customers who need help for any reason, including making their in-home content selections. 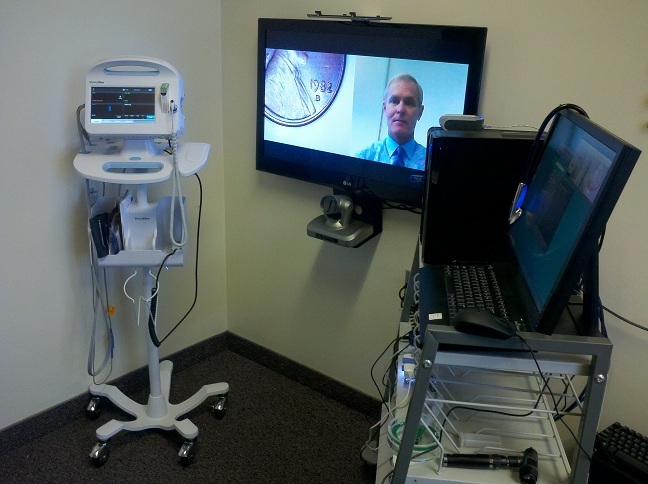 Providers can take advantage of the simple yet robust A-Vu user interface, virtually placing distant patients in the same room. Remote family members can also participate in the consultation. Patients, accompanied by a nurse, have access to many of the same medical diagnostic capabilities as are found in an actual Clinic visit using the A-Vu patient portal. A-Vu's in-home access platform brings back the idea of SIMPLE remote control for easy access to entertainment AND access to multiple healthcare services including two-way video Clinic visits from your couch. About UsFind out more about A-Vu Media. 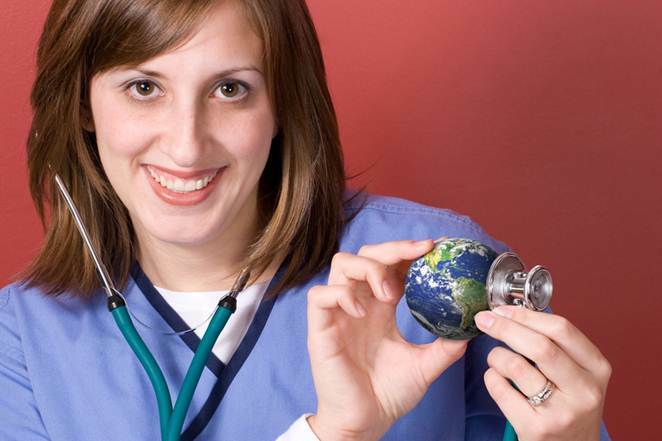 ProductsWe offer state of the art products for both clinical and home use. NewsFind out the latest news from A-Vu Media.